Message: Was in town for business and walked in for an emergency! They fit me in immediately! Dr. Pham was awesome! Answered all my questions and gave me all my options and the details I would need to undergo in the future with the options. He did a wonderful job... I was in a lot of pain, but with all the work he did, it’s surprising that I wasn’t in more pain than I was!! Thank you, Dr. Pham! On Saturday May 14th 2016, I had a temporary crown that was put on by another dentist come completely off my tooth. I wanted it put back on NOW. An internet search led me to the Emergency Tooth Doctor. Because of their hours, quality of the website, and proximity, I made an appointment with the downtown office. Four hours later, I was in the chair. The temporary was put back on, and I can say I am completely satisfied with the work. Dr Pham, assistant Tyler, and front desk Maria are incredible. Dr. Pham and his assistant took very good care of me. I called Emergency Tooth Doctor because Gentle Dental kept giving me the run around about needing to have this appointment and that appointment before getting my tooth pulled(and they cancelled my appointment). I simply wanted the tooth out of my mouth that was causing me pain for two weeks straight. When I called Emergency Tooth Doctor they got me in the same day, did the exam, went over the options (root canal/cap vs extraction) then pulled the nuisance tooth. I plan on using them for my regular visits going forward. The entire experience was very easy and as pleasurable as a tooth extraction can be. 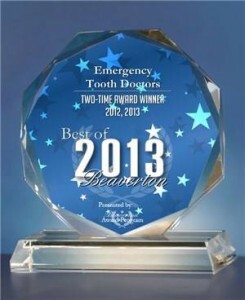 Thank you Dr. Pham, assistant and Emergency Tooth Doctor. I’ve been to these godsends masquerading as dentists 3 times now and have had appointments with Dr. King and Dr. Miller both of whom have been nothing short of awesome. I came to them with a severely jacked up mouth and Dr. Miller went above and beyond the call of duty to help me out and I will be forever grateful. They deal with my insurance company for me even when they asked for a bunch of paperwork! This is exactly why I like getting my dentistry through Emergency Tooth Doctor. They do everything to minimize the discomforts of medical appointments by being open and available everyday and some evenings, dealing with insurance companies, and be being genuinely friendly! I had to go in and have a impacted wisdom tooth pulled and they did a amazing job! Dr. King is a miracle worker, I felt nothing the whole entire extraction and was in and out in no time! I would recommend them to anyone! If I could give more stars I would. After years of serious dental issues, seeing a ton of dentists who pawned me off on others or did minimal or garbage work, I have found my forever dentist. Dr. Loi Nguyen is so beyond fabulous. Talk about knowing his stuff!!!! He’s extremely caring, gentle, honest. Makes the best plan for you with many factors kept in consideration. He is my knight in shining armor. I’ve had more work done in 2 weeks ( 8 extractions) than I have had in 7 years. Again, he really knows his stuff. I trust him 100%. And the staff! I’ve never been treated with so much love. I’ve been hugged, had my hand held, talked thru painful shots. I honestly couldn’t have ended up in better or more caring hands. I also love how quickly you can get in. If your in pain, in and out of pain the same day. And open 7 days?! Awesome! Prices are very reasonable. They take your ins. And do all the leg work. I couldn’t be more thrilled and this is my forever dentist. In fact, even my 20 year old daughter is now a pt. And sitting in the dentist chair as we speak!!! Come here for everything. 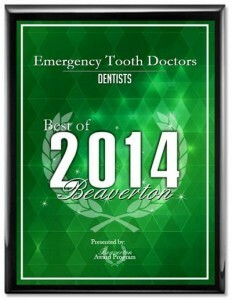 Not just an emergency but general dentistry as well. Xrays. Cleaning. Cavities. Crowns. You name it. I can’t say enough good about Dr Pham. He did my daughter’s root canal with care and ease when she was very anxious. A co-worker and I were talking when I felt the electrified twang of searing pain. Naturally, what I said next was probably something that probably shouldn’t be said at work… or ever. It was painful but something I’d been dealing with for the better part of a week or more. I was losing sleep and becoming more irritable than I already am. She kindly referred me to the Emergency Tooth Doctor–namely, Dr. Pham. I was NOT really into seeing an immediate care dentist because I didn’t know such a thing existed and I didn’t know what to expect. I was pleasantly surprised. I didn’t have to wait with this pain for eons for an appointment. I was offered an appointment slot that day. Dr. Pham was stellar. He took the time to discuss treatment options, what the different treatments entailed and the risk/benefits associated with them. Although I was being rather unrealistic thinking the tooth just needed a filling (I was in denial), he went along with what I wanted until it became clear that something more extensive needed to happen and he performed my first-ever root canal. I’m not the easiest dental patient to work on. With the exception of most alcoholic beverages, I seem to be immune to numbing agents. I’ve always been like that. It takes a hell of a lot of anesthetic to make me drool. Dr. Pham managed to keep me as comfortable as possible throughout the entire process. I appreciate the patience, understanding and kindness that he exhibited in dealing with the challenge I inadvertently threw at him. Thanks Dr. Pham and team! I highly recommend. The Best. Went here on a Saturday in extreme pain with a broken tooth and a screaming infection. I was most embarrassed about the condition of my teeth due to lack of dental care for several years. I have an extreme fear when it comes to dentist. I was put at ease from the second that I walked through the door. The staff and the Dentist himself were the kindest I have ever seen in a dentist office. (never once did they appear to judge me or the condition of my mouth) As a matter of fact they spent the time to settle me down and kept telling me that it was no big deal, that I didn’t need to be embarrassed, that they had seen much worse. (I doubt that, but none the less it gave me comfort)…. Prices were more than fair for the extraction and follow up care. I will be making follow up appointments to have the dentist start the long road to recovery for a healthy mouth….no fear of being made to feel ashamed or any dirty looks or comments from the staff…..I love this place and look forward to the day I can smile once again with a toothy white smile…. My husband had a tooth break while. My husband had a tooth break while working an overnight shift. The folks at Emergency Tooth Doctor saw us the very next day- a Sunday! My husband spent 23 years in the military and I must say he hated dental visits until the doctor here fixed his filling. He can not stop raving about what a great dental experience this was. The cost was reasonable, too! Thank you for having such a wonderful practice available for emergency care. I woke up one morning to find a big ol’ hunk of an old filling just… gone. I panicked. On my own with no insurance, I was having terrible visions of having to resort to Castaway-esque self-dentistry with ice skates. Fortunately, before I got too carried away, I hopped on the internet to search for answers. I eventually came across Emergency Tooth Doctor here on Yelp and saw that they were actually okay with us uninsured folks. I called in, they explained to me how to get set up with CareCredit, and I was in one of their (really comfortable) chairs the next morning. The ladies at the front desk were laid back but still super helpful, and my hygienist (Christy?) was pretty hilarious. Knowing my financial state, she and Dr. Tanada focused only on my broken filling and didn’t rattle off a list of all the procedures I should probably get done. They were very understanding and gave me an affordable, if temporary, fix for my problem, and explained how to get a more permanent solution once I can afford it. I should also mention that this was the first time in about 12 years that I’ve been able to sit through a dental appointment without nitrous. I’m usually a wreck when I sit in the chair, but with these fine people, it was the best dental experience I’ve ever had. I had a tooth partially knocked out playing with my 80lb boxer at 8pm on a Saturday. After going to the emergency room where I was given painkillers and antibiotics, but no advice or referral for weekend dental service, I went online and found the Emergency Tooth Doctors. They were able to put my tooth back in place and splint it to the neighboring teeth while it healed. I did follow up with my own dentist the following Monday, and he was surprised and pleased with the job the folks at the Emergency Tooth Drs. A year later and no one can tell I almost lost one of my front teeth. 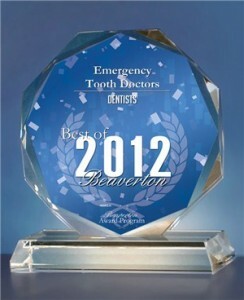 Good service and totally worth going to for after hour dental emergencies! Baby, Chicken, Wuss: These are all words that describe me in regard to dental work. Anyway, I neglected a sore tooth for too long, until this Saturday when the tooth finally had enough and said “you know what? Eff you” and decided to revolt by developing a lovely abscess. And by lovely, I mean blindingly painful, can’t get any sleep, handfuls of ibuprofen, awful pain and swelling. I called Emergency Tooth Doctors at 9am on Sunday; I was in the office at 11. My anxiety was completely out of control. (Dignity and restraint were in very, very short supply for Miss Genna V. on this day. Oh, I lost it, totally lost it.) I was nervous and scared and really embarrassed by the fact that I had let this tooth get to this point due simply to being such a complete child about these things. Dr. Tanada and his assistant calmly assured me that they were there to help….. no problem…..we will get this taken care of. They told me that at any point I could let them know if I felt pain and they would stop and make sure I got properly numbed. I did this many, many times as I was really tense and just burning right though the stuff. They probably had to order more anesthetic after my visit. But it was never a problem, they said this is totally normal and I felt like much less of a blubbering idiot. They said nice things to calm me down and they really did make sure I was comfortable. (The assistant also calmly, gently, reminded me to breathe, many times; pathetically, in situations such of these I do actually need to be reminded.) Anyway, I will keep the yucky details of the issue and my procedure to a minimum but believe me when I say – GO SEE A DENTIST, people, when your teeth hurt! This office just took such good care of me, made me comfortable and went the extra mile to assure that I was leaving their office with aftercare instructions, a few prescriptions, but most importantly pain-free. They took this sobbing FOOL and turned me into someone who would write a 5-star review of a dental office. Prices were totally reasonable too, I thought. They don’t charge any more there simply for the convenience factor. Also they are not just emergent/urgent dentistry – they do regular checkups, fillings, and the like as well. I can’t recommend them enough. They dealt with my trainwreck; they will deal with yours too, and they do it with a smile, a soft voice, and some kind words.